*He will repeat everything you say with his sweet voice. *Tickle him until he can’t stop laughing. *Make him jump off the trunk by touching his feet. *Bug him by poking him in the eyes. 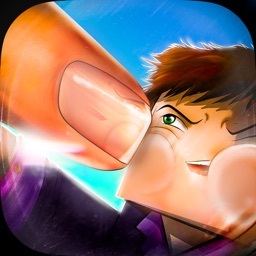 *Play his awesome minigames and put your memory to the test! 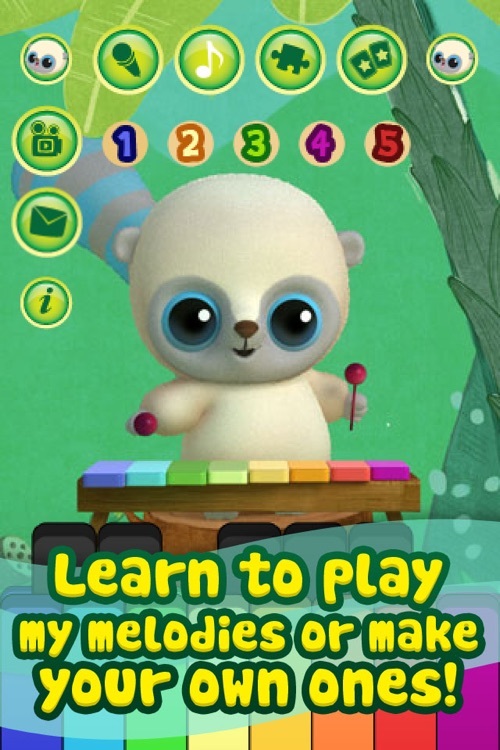 *Learn to play his colorful xylophone. 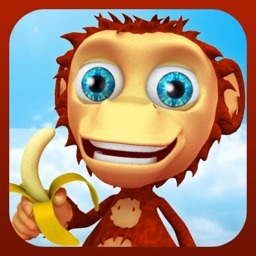 *Share videos and pictures with your friends! 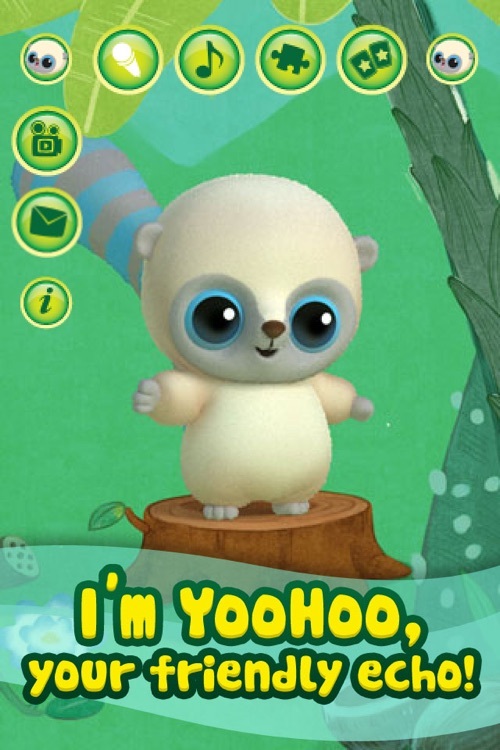 TALKING YOOHOO HAS TWO MINIGAMES SO YOU CAN HAVE DOUBLE THE FUN! *Talk and he will repeat whatever you say. Try and to sing to him and see if he can impress you back. 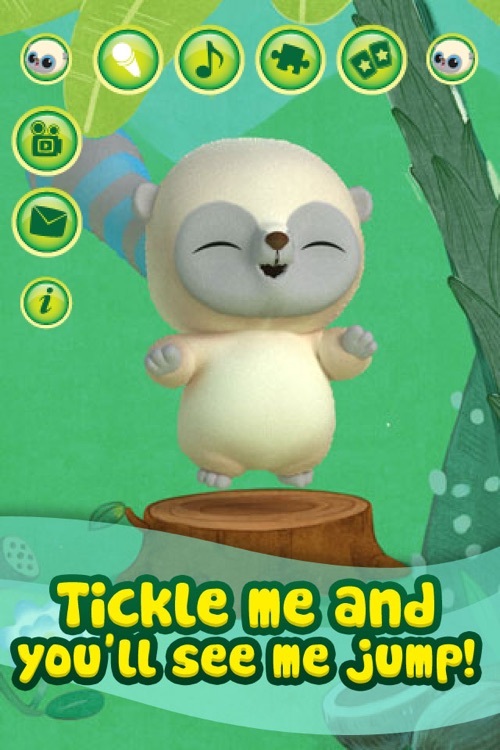 *Tickle him to enjoy his funny reactions and sounds. You will enjoy it as much as him! *When you poke his feet he will jump around. *Check out how he moves his tail when he spins. *Play a high quality and nice instrument as the xylophone. *You can learn how to play with him and play your own songs or let him play his music and then you can repeat it! 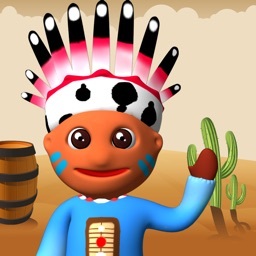 *With his memory game you will be challenged for hours! Will you be able to remember the pairs? Try it yourself! *Try to complete his fascinating jigsaw and find out what it turns out to be! 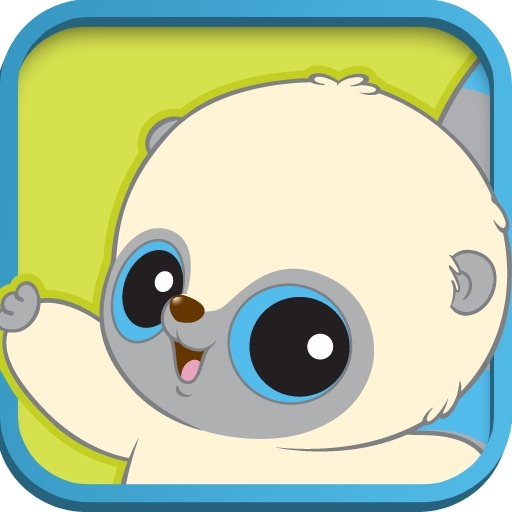 *Send a message to your friends and let them meet this charming animal. 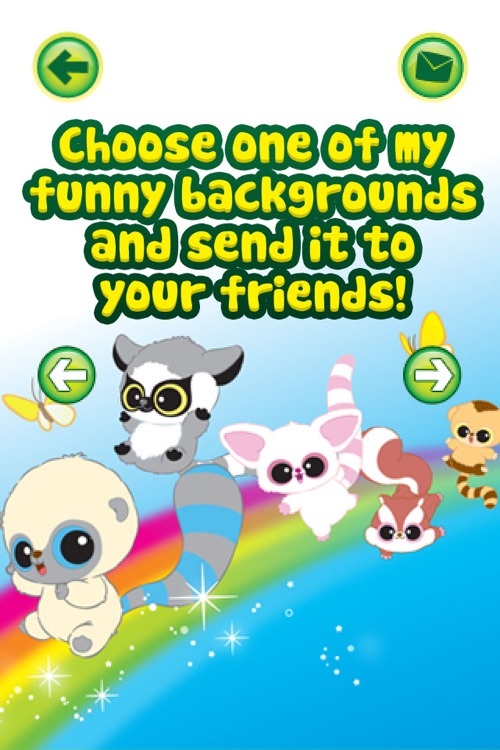 Introduce them also to his adventurous friends with the different images that you have to choose with your personal message! They make the perfect crew! *Record a video of what you’re doing and share it with your friends or upload it directly to the internet! Your iPod Touch, iPhone or iPad must have a microphone or headphones (with an attached microphone). 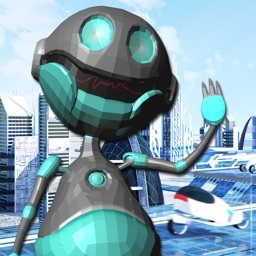 Otherwise, the voice-recording features will not work.